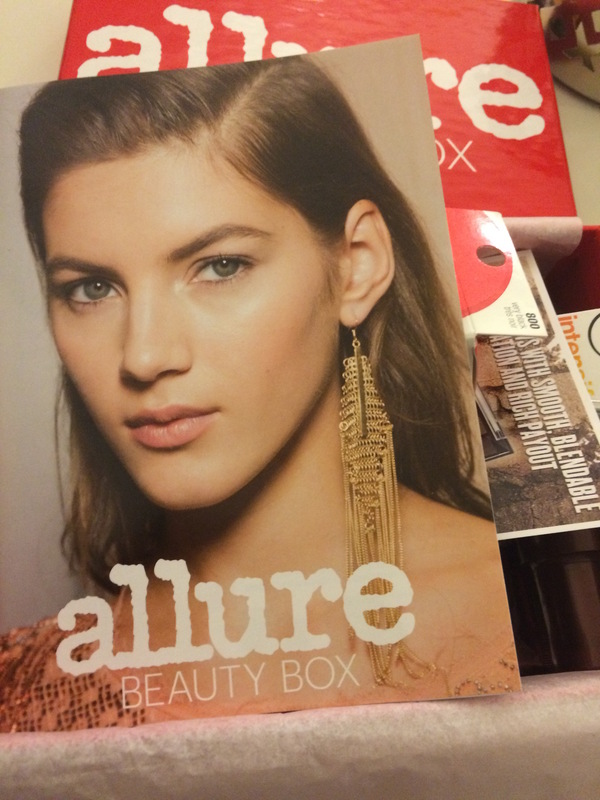 We just got back from Europe and the February Allure Beauty Box was waiting for me. 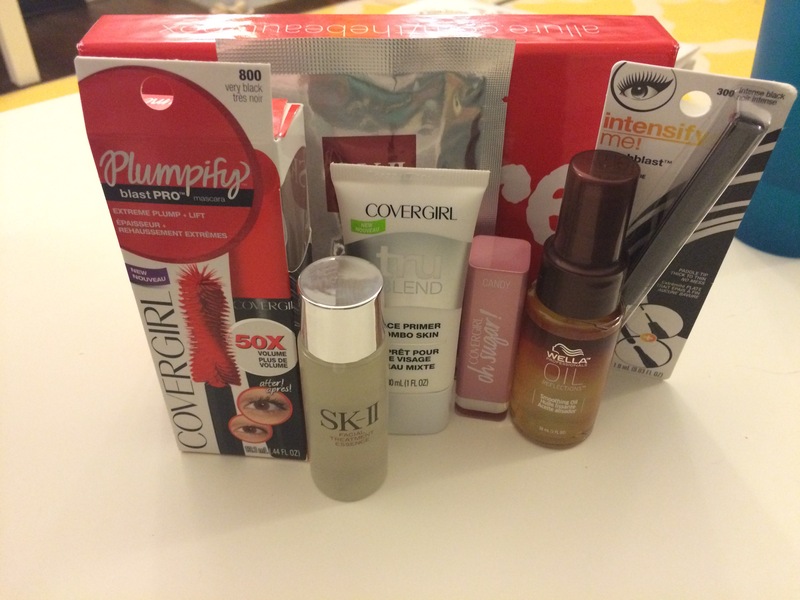 I loved almost everything in it and still think it’s one of the best beauty boxes out there. Well, I was confused because a few days later this past Monday there was ANOTHER box at the door. I assumed it was March’s beauty box…until I did a quick search online. Other bloggers were saying that this box is a completely free bonus box! 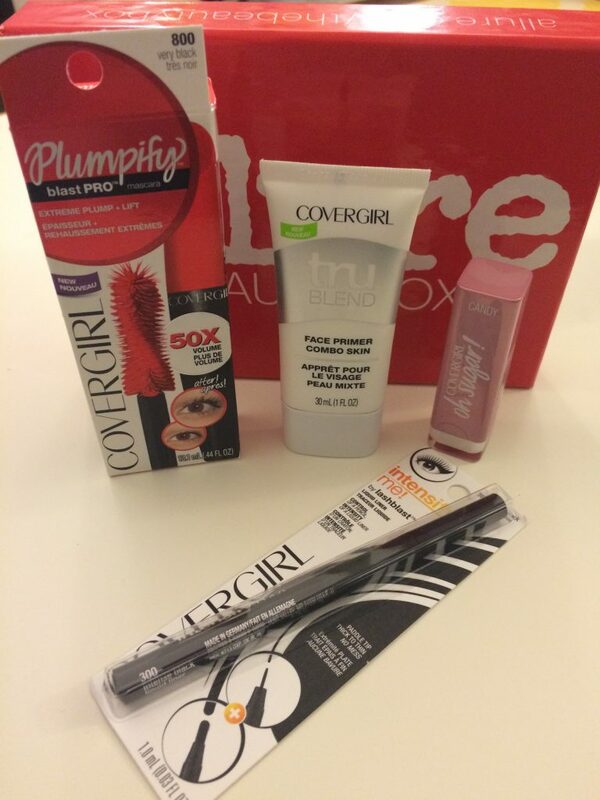 It’s called the Allure Red Carpet Bonus Beauty Box. I remembered entering a sweepstakes and didn’t realize I won. The box is valued at $88! So, I began this blog post writing about what I thought was the March box to find out it was just a free, just-because box. Aren’t ‘just because’ things the very best? The box came with a mini magazine like usual and a lot of products. What caught my attention right away was Allure’s collaboration with Cover Girl. 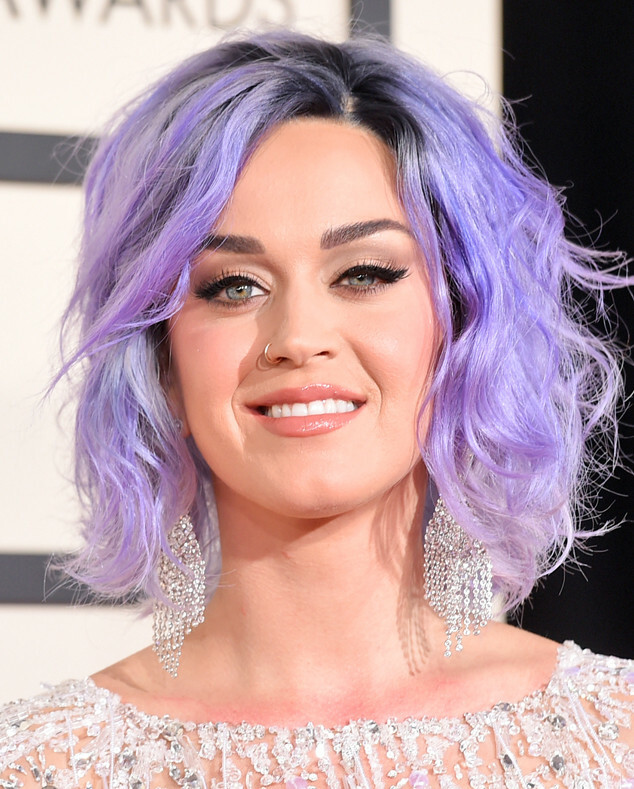 I’m not a big fan of Cover Girl, but the products included were full sized and were inspired by Katy Perry’s Grammy’s look. As I was opening the box, I did find it strange that there wasn’t much variety, but I assumed that since the value of the full sized products was so high, it was a special box. I didn’t realize it was a freebie! There was no indicator on the box that it had been a bonus box. The other item included was SK-II’s Facial Treatment Essence. This product seems so ambiguous. What’s facial essence? Well, of course, I looked it up. We shall see. I haven’t tried either. The other product that wasn’t Covergirl was the Wella Oil. I rolled my eyes when I saw this product. Another hair oil? You bet! I have enough to bathe in twice a day for a year. Ok, ok ok. This product does work. I did drop $40 with Birchbox points for Bumble and Bumble’s Hairdresser’s Oil, but this stuff seems to work just as well and it smells delicious. All you need is a small drop in the palm of your hands and it smooths out every frizz on your head. I think this will last me a very long time since you don’t need a lot. The size that was included was one ounce which is worth about $10. 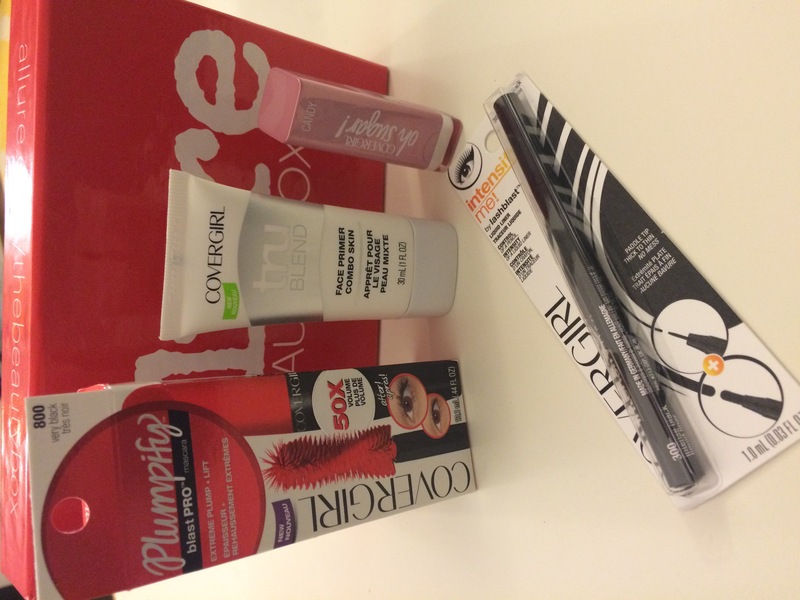 The rest of the products included in this fabulous free box were from Covergirl. The mini magazine included a picture of Katy Perry from the Grammy’s. The products are supposed to be products she used for her look. I really love the picture of her! 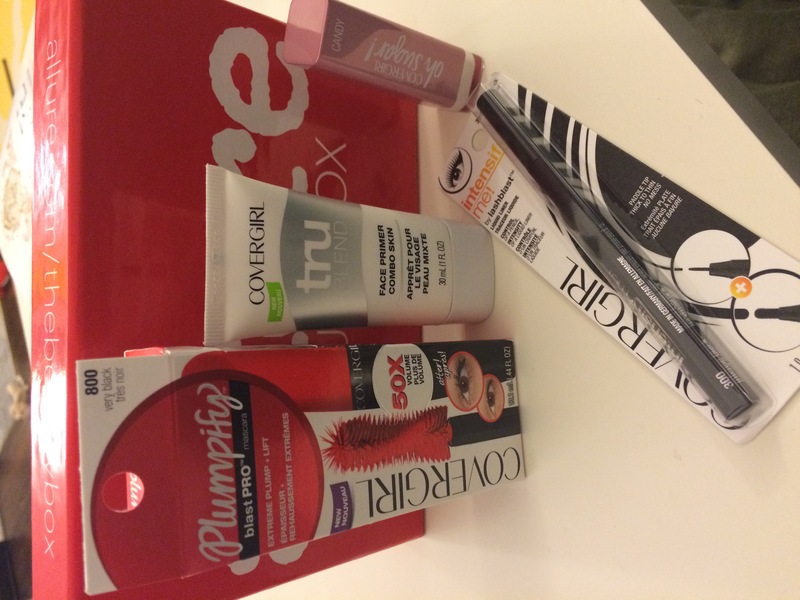 Since I’ve gotten the box, I’ve had a chance to try all the Covergirl products! Some I liked and others I’m not sure about. The Intensify Me! eyeliner is interesting. It’s a liquid eyeliner, but it has a paddle-shaped applicator. I liked how pigmented it was but I found it difficult to apply. Now, it may just take some practice. I did notice the shape made cat eyes pretty easy to achieve. Again, this product is for a more dramatic look. You wouldn’t use it for a simple black liner look. It’s impossible to make it thin-lined. Since I messed up a bit, I went back over it with my holy grail tattoo liner from Kat Von D.
The mascara was much better than I expected! The massive brush reminds me of a DNA strand. It also comes separate from the base of the mascara. When you put the applicator in, you can really tell how black the formula is because the brush is orange-red. This mascara is really reasonable at $8.99. I think I could use this instead of my Marc Jacobs mascara! I used the primer under my Kat Von D liquid foundation. I didn’t notice a big difference because I already mix my foundation with a primer. It says it’s for combo skin. This product I wouldn’t purchase since I’m sold on Kat’s. Lastly, the Covergirl Colorlicious Oh Sugar! Lip Balm in Candy was really cool. I loved the smell and the packaging was pretty and sleek. The only drawback is it didn’t have any pigment. It said it was supposed to have some color, but it’s more of a clear balm. It seemed to me as if it was Covergirl’s version of Fresh’s Sugar products. Overall, it was a good clear balm that I’ll use over lipstick or on days I’m not wearing lip color. Did you receive this box free? What do you think of Covergirl?